Yeah, Nvidia's Tegra line of mobile processors is pretty exciting, and will be getting the quad core treatment later this year, but don't forget about the competition - namely, Texas Instruments. TI chips have powered most of Motorola's Android products to date (excluding the upcoming ATRIX / BIONIC / XOOM), but Nvidia ended up beating TI to the punch in the marketplace for multi-core handsets and tablets. 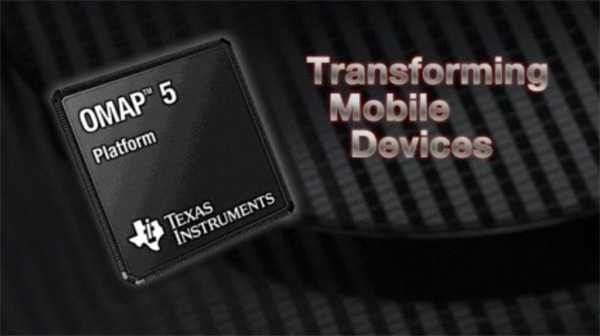 Fear not, though: Texas Instruments just announced its OMAP 5 line of mobile processors (there aren't even any OMAP 4 devices out yet), and they're truly ridiculous. Four cores? It's been done before, you say - but not like this. TI is leapfrogging into the most recent generation of ARM cores (Cortex A15), and the results will be staggering if the end product arrives as advertised: four cores, two of them clocking in at 2GHz, and another two Cortex M4 ultra-low power consumption processors for standby and low-power computing. Can you say 'battery life'? Remember, a TI OMAP processor powers the DROID X, the most battery-efficient Android handset to date. What kind of crazy things will you be able to do with all that power? Support for up to 4 cameras (front and back 3D? ), 2D upsampling to 3D at 1080p, capacity for up to 8GB of RAM, and probably enough computing power to make your Atom netbook look like something from the stone age. Expect the OMAP 5 line of processors to start showing up in devices later next year, with manufacturing samples being sent off to potential customers this Fall.